Ty Cobb rounded third and, despite the stop sign from his coach, kept on going. Cleveland catcher Harry Bemis caught the relay and braced himself. Cobb could collide or evade. He chose collision and the ball rolled away from Bemis. Cobb was declared safe. In the heat of the moment Bemis began hitting Cobb in the head. Davy Jones ran from the Tigers’ dugout and pulled Bemis away. Umpire Silk O’Loughlin managed to control the flood of players from both benches and averted a riot.1 Cobb never forgot the June 29, 1907, donnybrook. In later life he claimed that he tried to intentionally spike only two players. Bemis was a target during the three years they faced each other after the fight. Harry Parker Bemis was the youngest of eight children born to John Willard and Emeline “Emma” (Perkins) Bemis. Harry joined the family in Farmington, New Hampshire, on February 1, 1874. Over the years, the elder Bemis was a farmer and a shoemaker. They moved to Marlboro, Massachusetts, where Bemis attended school. He first garnered attention as a baseball player while on the school team. He also played with amateur teams in Hudson, Westboro, and Maynard. In 1896 Bemis joined the semipro ranks with the Fairmount Baseball Club of Marlboro. He played third, shortstop, and catcher with them. The following year he played with both Fairmount and the Marlboro Athletic Association team. In June he was invited to work out for the Boston Beaneaters. This resulted in an invitation to spring training in 1898. There, he was in a three-way battle with catchers Marty Bergen and Kitty Bransfield. Most sources say Bemis stood 5-feet-6 and weighed 165 pounds. Manager Frank Selee decided to keep the much taller and beefier Bransfield. Bemis joined Paterson in the Class B Atlantic League. Mary regained her health and Bemis returned to Toronto in 1900 to compete with Dave Zearfoss and Mike Roach. The club decided not to carry three catchers and Bemis was sent to Newark in the Atlantic League for about three weeks. Zearfoss was released in May and Bemis was recalled from Newark. He batted .300 in 82 games. In 1901 with Toronto, his .307 batting average was just 2 points behind Jack Clements for the highest batting average by a catcher. Bemis hit a career-best six home runs in 1901. That season he was second in fielding percentage and allowed very few passed balls. He was signed by the Cleveland Naps on December 13, 1901. Harry joined Bob Wood behind the plate for the Naps. The twosome combined to bat over .300 with a combined 30 doubles. Both men played other positions, Bemis seeing action in the outfield and at second. Even with four years of experience he struggled adjusting to the major-league game. He came into the league with a reputation as a fine thrower. The opposing teams did not believe the press clippings and tried to steal more against Cleveland and Bemis than against five other teams. He ended up catching 94 of the 209 would-be thieves. His success average was just above the league average (45 percent vs. 44 percent). He struggled with the offerings from his pitchers, especially fireballer Gene Wright, to lead the league with 22 passed balls. The team finished in fifth place. That winter Bemis split time between New Orleans, where he played some winter ball to keep in shape, and his home in Marlboro. 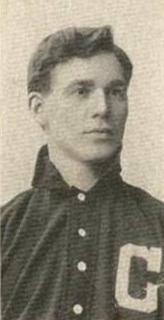 The Naps released Wood and signed Fred Abbott to team with Bemis in 1903. Abbott spent the most time behind the plate, but Bemis also played at first and second. Abbott opened the season with a hot bat and was hitting .400 when weekly statistics were published on May 23. Bemis was mired at .128. He was injured around that time and the team added Jack Slattery as insurance. Bemis had one of his best days ever at bat on September 25 in Washington when he socked a home run and added three singles. He ended the year batting .261. In a postseason series with Cincinnati he saw plenty of action. The team soured on shortstop John Gochnaur’s fielding and lack of hitting and benched him. Nap Lajoie moved to short and Charlie Hickman to second. Bemis and Abbott alternated at catcher and first base. In 1904 the Naps welcomed Bemis and Abbott back to the team. Bemis went to San Antonio a month before spring training to get Mary into a warmer, more arid climate. He had an excellent spring and the sportswriters were excited about the prospects for him and the team. He opened the season doing well as a hitter, but his fielding was inconsistent. The team’s offense was also inconsistent; the Naps struggled to avoid the second division. Then the injuries began to set in. Fritz Buelow was brought in from Detroit because of the condition of Abbott (knee) and Bemis (hand and leg). From the Fourth of July on, Bemis batted under .200. He closed out the season at .226. The bumps and bruises in 1904 were child’s play compared to what Bemis endured in 1905. He came out of spring training with a bruised hand. After he regained his full motion, his shoulder was injured in a collision in June. In late August he had to have stitches after a spiking (no, it was not Cobb.) In the end, Bemis was given permission to leave the team before the season’s end and rest his broken fingers at home. He still managed to play 70 games. One consolation was that he batted .292. Cleveland had used three catchers in 1905 (Bemis, Buelow, and Nig Clarke.) The trio returned for 1906 with a healthy Bemis as the number-one man. The Naps’ pitching improved greatly over the previous season. Under Bemis’s guidance, Bob Rhoads and Otto Hess had their finest seasons. Bemis had one of his finest moments on May 21 in Philadelphia. The Naps opened a series with the first-place A’s, who were riding an 11-game winning streak. The A’s started Rube Waddell and then relieved with Chief Bender (the pair struck out 18) as the game went 13 innings. In the top of the 13th, Bemis drove a pitch from Bender over the left-field fence for a 2-1 win. Bemis played 93 games and hit .276 as the Naps rose from fifth to third in the standings. The Naps kept three catchers again in 1907. Bemis was the best defensively, Nig Clarke was coming off a season in which he hit .358 in 197 at-bats and Howard Wakefield was the third man. Clarke began the year with a bad leg and Bemis battled an illness. This forced Lajoie to shuffle his lineup and play whoever was healthiest. Bemis was hit in the leg with a pitch in August. When the team arrived in Washington, he was hospitalized because of the swelling. His health issues held him to just 65 games. Clarke saw the bulk of the action. The offense slumped bitterly, and the team dropped to fourth place despite a tremendous season from Addie Joss (21 wins, nine losses). The Naps were part of a tremendous pennant race in 1908. Clarke and Bemis split the catching duties nearly fifty-fifty. The team’s batting average was .279 in 1906, then .241 in 1907 and dropped to .239 in 1908. To make up for the lack of hits, the Naps turned to “small ball.” They laid down 66 more sacrifice bunts than the season before and stole bases wherever possible. Bemis pilfered 14 bases, by far his most larcenous season in the majors. Now 35, Bemis found the wear and tear of 10 years as a catcher catching up with him. Young Ted Easterly took over the top catching spot and Bemis was used sparingly. His batting suffered from inactivity. He hit .187 in 1909 followed by a .216 mark in 1910. A bout with pneumonia weakened him to the extent that Cleveland released him after the 1910 season. Bemis joined Columbus of the American Association in 1911. He started the year healthy, but quickly fell into a batting slump. Then he injured a knee and was hobbled the rest of the way. He played in only 47 games, but did raise his average to .247 by season’s end. Tragedy struck the team when pitcher Tom Lessard was hospitalized with “tonsillitis and quinsy.”6 He died on August 26. Bemis was one of two Columbus players who accompanied the body back to Lessard’s home in Nashua, New Hampshire. Columbus re-signed Bemis in February, but then sold him to Jersey City in early April. His departure from the team was mentioned in articles that noted he “was one of the trouble breeders from last year.”7 The nature of the trouble was not disclosed. He was batting .290 with then last-place Jersey City when the club sent him to first-place Toronto in mid-June. The Reach Baseball Guide listed him in 98 games that year with a .326 batting average. Proving that the knee injury was healed, he was credited with 13 triples. Bemis played one more season with Toronto before going to Memphis in the Southern Association in 1914. Playing for legendary manager Mickey Finn, he split the catching duties with veteran Admiral Schlei. Bemis was released in August, but two days later Schlei fell ill and Bemis was recalled. He played in 62 games. He finished his playing days the next season with Elmira in the Class B New York State League. He was sold to Newark for the 1916 season, but refused to report. Bemis had once entertained the notion of buying a minor-league franchise. He was also once a candidate for the Harvard baseball coaching position. When his career ended he chose not to own or coach. He made a clean break from the game and took a position with the Bell telephone company near his Marlboro home. He and Mary had a son, Harry Jr., born in 1899, who grew up to be a lithographer. 1 Both the Plain Dealer and Free Press reported the story on June 30, 1907. 2 Sporting Life, November 26, 1898: 9. 3 “Boston’s New Catcher,” Lima (Ohio) News, May 13, 1899: 6. 4 Bemis’s son filled out the Hall of Fame questionnaire for Harry and listed him as 155 pounds. 5 “No One Seriously Injured,” Cleveland Leader, August 30, 1903: 10. 6 “Pitcher Lessard Very Ill,” Brooklyn Daily Eagle, August 25, 1911: 6. 7 Wilkes-Barre (Pennsylvania) Record, April 5, 1912: 12. 8 “Harry P. Bemis,” Cleveland Plain Dealer, May 25, 1947: 14.